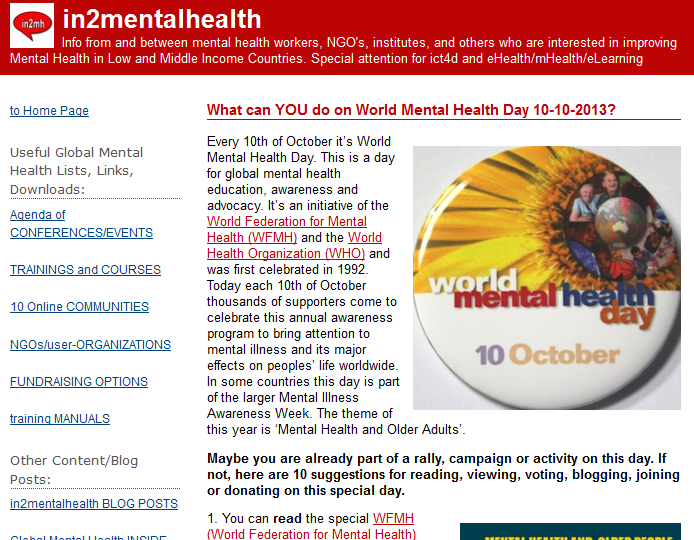 An online initiative disseminating relevant information and news on global mental health, psychosocial support, recovery and the new technologies. 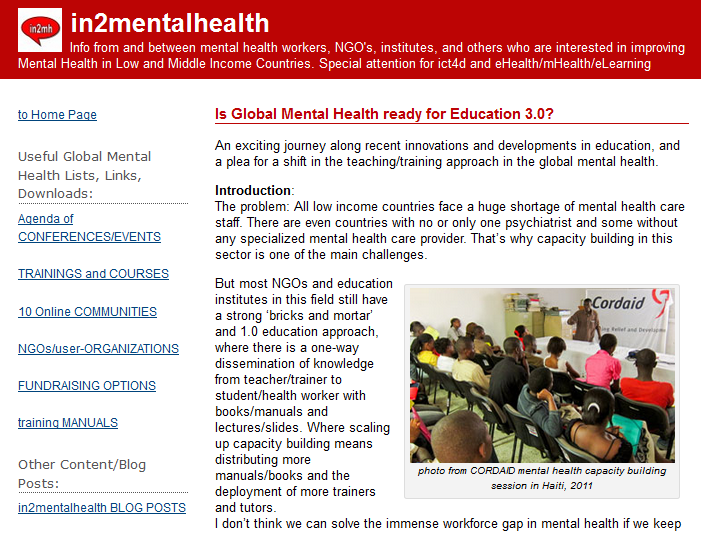 The in2mentalhealth website was launched by Roos Korste, in 2010, who is a clinical psychologist in the Netherlands and freelance mental health trainer for Médecins Sans Frontières/Doctors without Borders (MSF). In December 2016 Roos stopped blogging and updating the information on the website, due to time constraints. opportunities, mental health organizations, etc. There was also daily activities on social media. 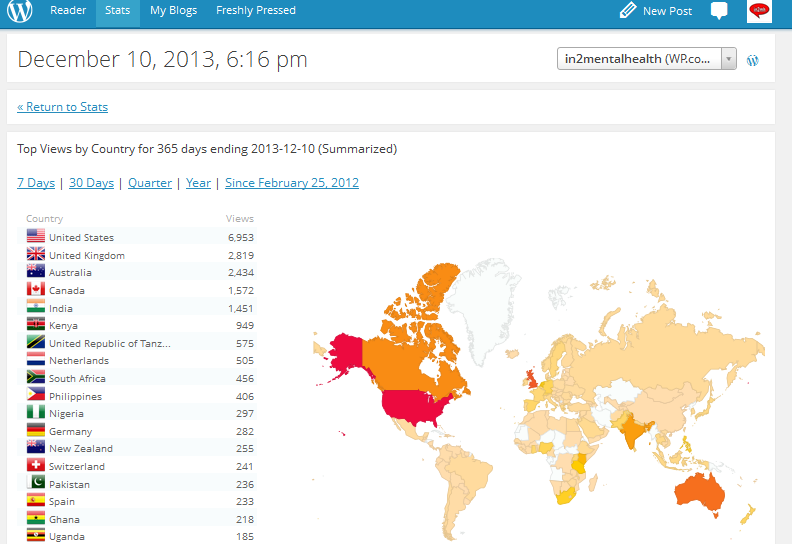 50.000 views from more than 160 different countries. 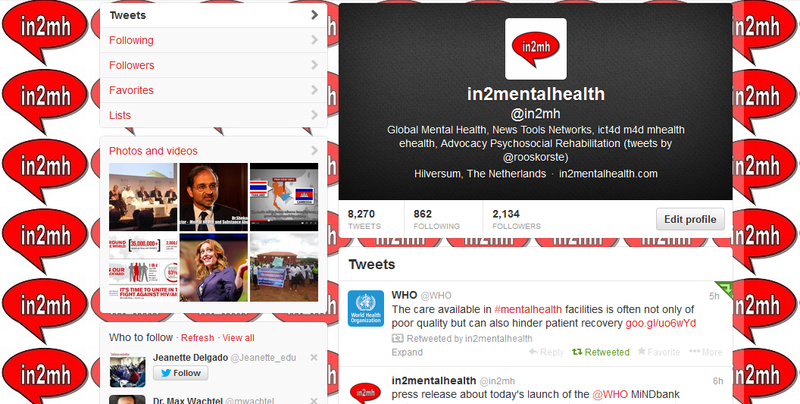 In2mentalhealth was one of the early social media adapters in the field of Global Mental Health and Psychosocial Support. In2mentalhealth is not funded. The costs made for the website and social media presence were below $100,- a year (for the website name and the ‘no adds’ service and sometimes an $5,- add/booster on Facebook).